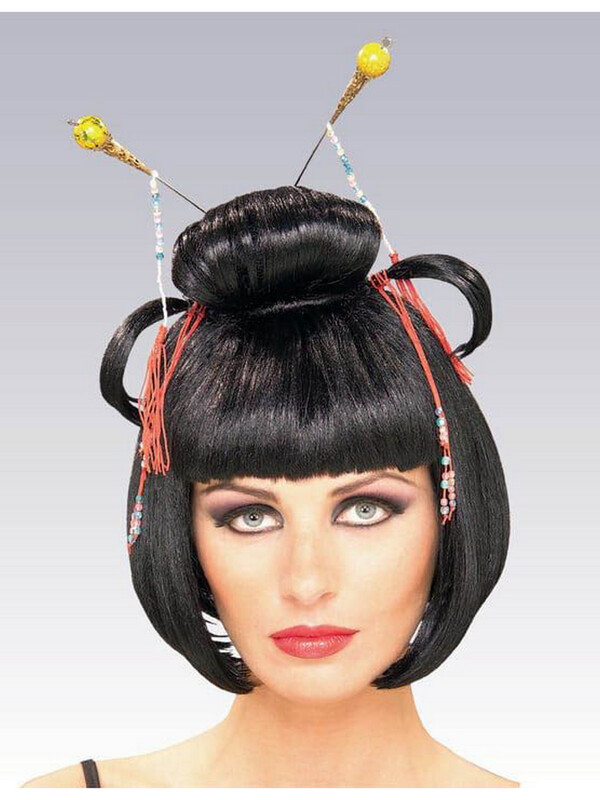 Add some international flair to your Halloween or cosplay ensemble with this glamorous Geisha Wig - Black - Adult Costume Accessory. This black bob wig features a top know and Asian accents. Pair with a kimono to create your own DIY costume ensemble. Shop for adult costumes and accessories online now.